Claude Akins was a Hollywood star who offered a dedicated life of service to America before launching his long-standing career in acting. After rendering his services to the U.S Signal Corps during World War II in the Pacific, he attended college in readiness for that one dream that his heart desperately yearns for. This reignited interest he had in acting was backed up by the peculiar stature that enabled him to play recognizable villains in most of his movies. Claude took Hollywood by surprise as he displayed undisputed talent throughout his career. Though his imperious looks portray him as a tough person, Claude Akins was a sweet and loving man to his wife, children and to everyone who knew him. Below are some details about the icon that interests everyone. He was born on May 25, 1926, in Nelson, Georgia, in the U.S. His father Ernest was a former stonecutter who later became a policeman and his mother was named Maude. He had an older sister named Hazel. The family moved from his native Nelson, Georgia to Bedford, Indiana when Claude was six months old. Shortly after his graduation from Bedford High School, he joined and served in the U.S Army Signal Corps (WWII, Burma, and the Philippines). The inevitable end of World War II resurrected the dream he nursed in his heart and opened a possible route to chase it. Claude began his quest when he enrolled in and graduated from Northwestern University where he majored in Speech and Theatre. Soon after he left his job as a limestone salesman, he joined the Barter Theater touring company of “Comedy of Errors” in Abingdon, Virginia in the late 1940s and familiarized himself with more skills. 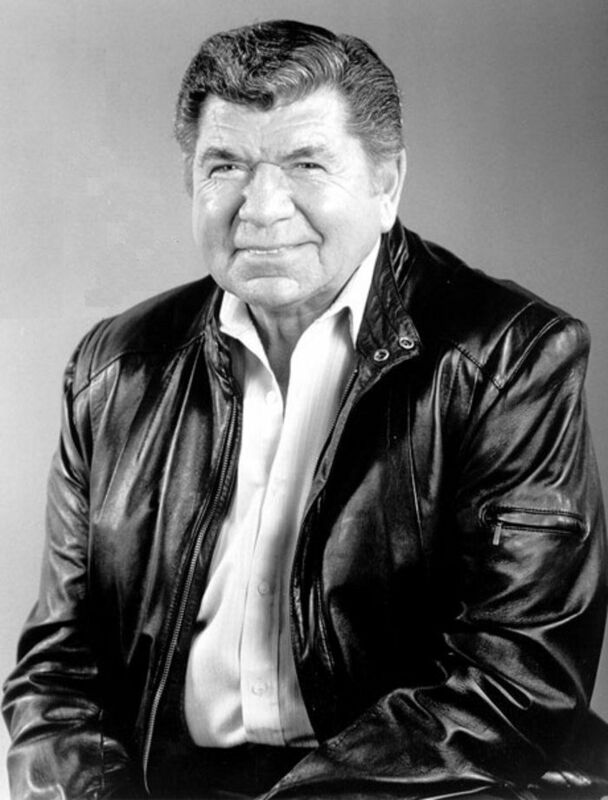 Claude Akins first attempt came with a small part in Broadway production of ‘The Rose Tattoo’. Following that role was another from Columbia Pictures as Claude was cast as Sergeant Baldly Thom in what many consider his film debut – ‘From Here to Eternity’ (1953). He quickly began playing dark characters in movies like ‘The Caine Mutiny’ (1954), ‘The Defiant Ones’ (1958), ‘Rio Bravo’ (1959), ‘Inherit The Wind’ (1960), ‘How The West Was Won’ ( 1962), ‘Merrill’s Marauder’ (1962), and ‘The Devil’s Brigade (1968). He also started his remarkable slew of guest appearances in TV shows including ‘Dragnet’, ‘Gunsmoke’, ‘I Love Lucy’, The Rifleman’, ‘Wanted: Dead or Alive’, ‘The Man from U.N.C.L.E’, ‘Bonanza’ and a lot more than we can keep track of. In the early 1970s Akins has recorded tremendous success in his career, appearing in several supernatural films as a “no-nonsense” sheriff in both ‘The Night Stalker’ (1972) and ‘The Norliss Tapes’ (1973), and was hardly recognizable underneath his simian make-up as war-mongering Gen. Aldo in ‘Battle for the Planet of the Apes’ (1973). Before his signature character – Sheriff Lobo, Claude Akins appeared in NBC’s ‘Moving On’ that aired from1974-76, with Frank Converse. He featured in over 40 episodes of Moving On plus a made-for-TV movie ‘In Tandem’. These achievements brought him consistent popularity and fetched the actor a role as Stoney Huff in the film titled ‘Nashville 99’ – although the movie was a short-lived hour-long drama. The actor did a testimonial TV commercial for PoliGrip, Rollins Truck Leasing and AAMCO Transmissions and lent his unique voice to safety instructional, Safety Shorts, where he expounded the virtues of workplace safety to many employees. Surprisingly, he sang in an episode of Moving On and co-hosted the 15th Academy of Country Music Award in the same year he was cast as Sheriff Lobo. Asides the actor’s imperious physic, his unique baritone voice was widely recognized. A voice that supported the dark characters he portrays in most of his films. Whether it was a fearless villain or cowardly character, he has a distinct manner of presenting toughness to each role. Notwithstanding, his kind and humane nature attract people to him outside the movie industry. Claude Akins continued to offer wonders to fans through his countless movies and TV shows right up to the news of his cancer. He battled for his life before eventually succumbing to the disease in January 1994. The actor married Therese Fairfield in 1952 and they stayed together until his death in 1994. The couple had three children – two girls, Wendy and Michelle, and a son, Claude Jr.